Being a teacher can be overwhelming for how much you need to learn and even more so, how much you want to learn in order to be the best educator you can be each day. I am profoundly grateful to Avout for sponsoring my participation in this year’s Key Issues Institute at the Keystone Science School in Summit County, Colorado. Thank you to all of you for making this wonderful week possible. I am leaving with weeks worth of hands-on, real-world labs and lessons that I am excited to share with my sixth grade scientists this year and into the future. I am fortunate as well in that one of our facilitators, Amy Rahne, is also an Assistant Principal at my new school, Newton Middle, in Littleton. So I have a great teacher on site to help me implement all that I’ve learned during this week in Keystone. As part of a “real” scenario about a pollution issue in the Keystone area, we have taken the place of students to learn how to test local creeks with multiple different indicators. 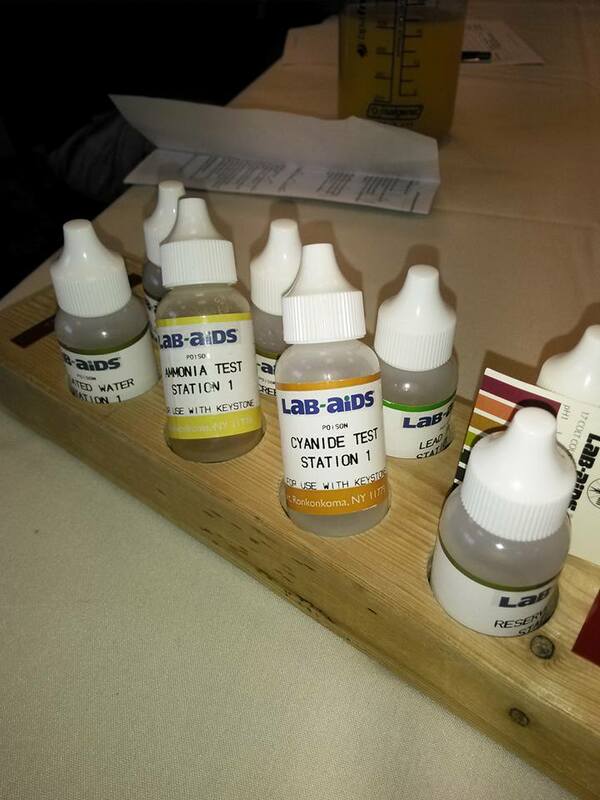 We have also tested water samples in our lab (hotel conference room) and taken part in many cross curricular activities that will be wonderful for my sixth graders. I’ve truly enjoyed working as a team with my colleagues to learn as we solve the pollution mystery in an extensive and detailed series of lessons. I’ve met many teachers who I expect to stay in touch with and the networking opportunities with them as well as the Keystone Science School have been phenomenal. 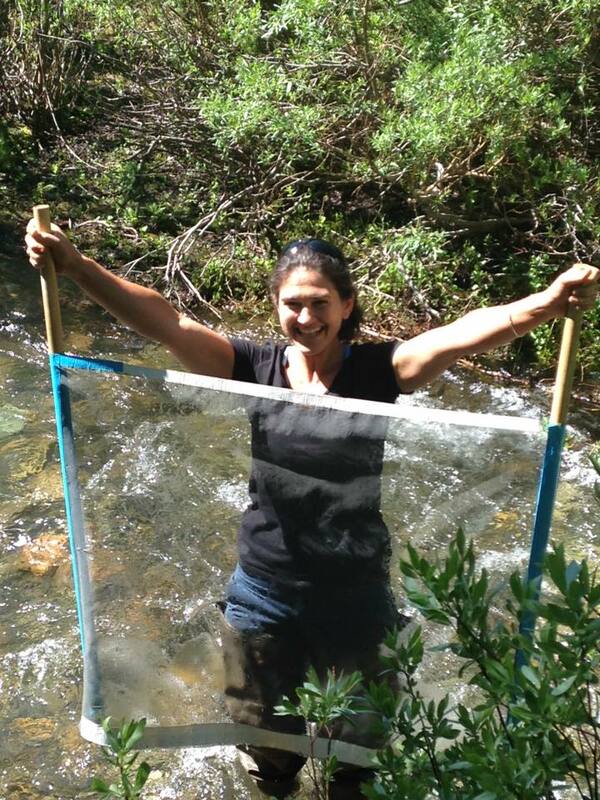 I hope to bring all my 200 sixth graders up to Keystone for water science and an opportunity to understand how water comes to us on the front range. 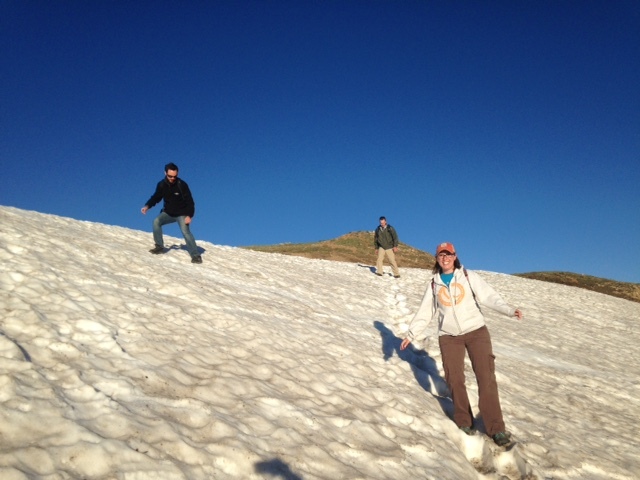 On our last class morning for this week, we all loaded up onto a school bus at 5:00am and hiked a portion of the Continental Divide for a memorable sunset. As a biologist, my highlights were the alpine dwarf flowers, pika and marmots that we saw as we hiked. The week has flown by but I’ll be taking home a complete lab kit for water testing – what I am probably most excited for my students to embark on – and a whole thumb drive of lessons, ideas, information and helpful documents. Pictures speak volumes, so I am including just a few from the highlights of the week! “Thank you” doesn’t do my gratitude justice and I sincerely appreciate your generosity in sending me to the Key Issues Institute! I am happy you are also able to send another teacher during the third session as well – she’ll love it too! 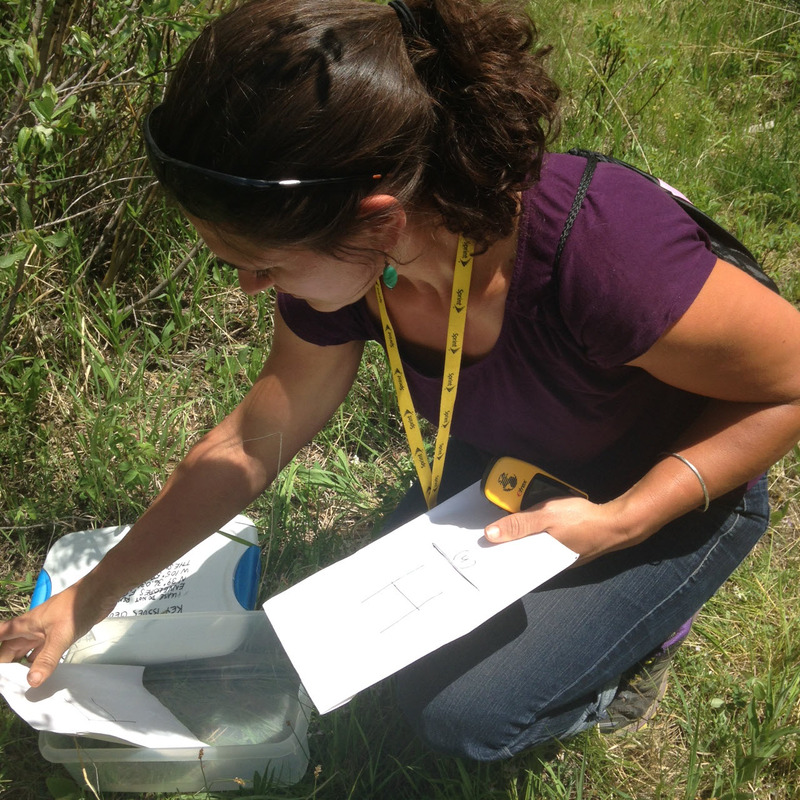 GPS “geocaching” activity at the Keystone Science School. A great way for everyone to learn about latitude and longitude and a sort of treasure hunt that students love. 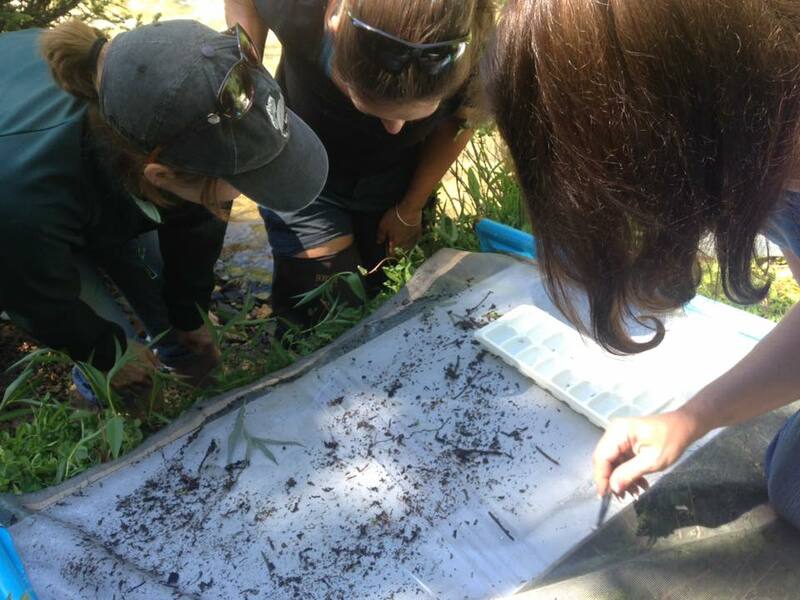 One biological sample included stoneflies and mayflies. 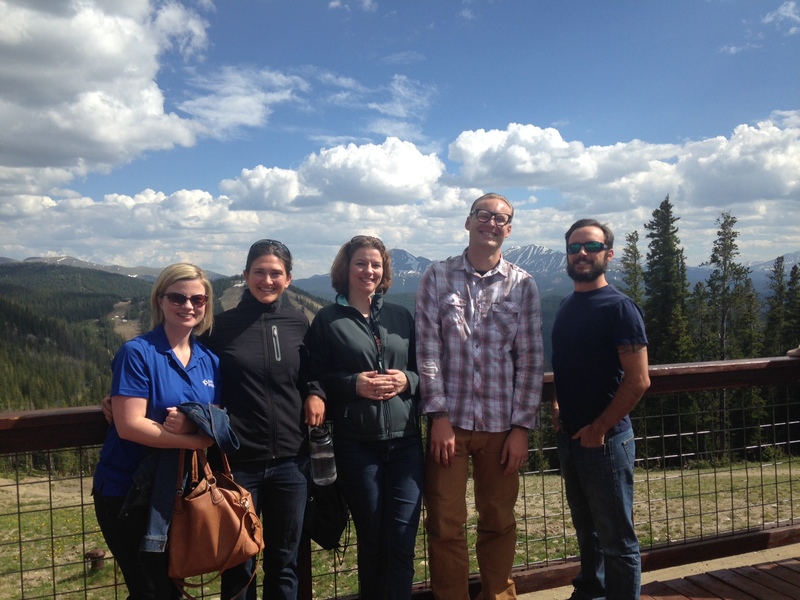 Networking with new friends from California and Florida at the top of the Gondola in Keystone. Just a small piece of the extensive lab kit provided to all participating teachers! 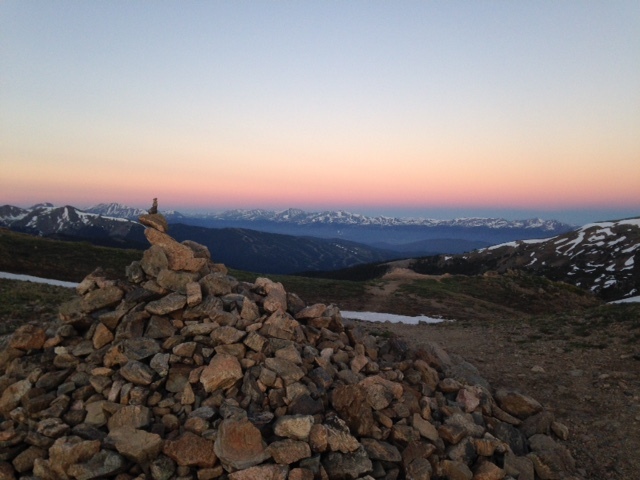 Sunrise cairn on the Continental Divide hike – alpine biology tour!